Singaporeans have a penchant for Hokkaido food, as gleaned by Japanese restaurant chain Sushi Tei. The establishment has noticed a fair bit of fanfare for its seasonal Hokkaido-centric menus that gave impetus to the culinary foray of Hokkaido-Ya – a fast, casual Japanese joint that dish out flavours from this Northern part of Japan. Now, that’s what we call smart business development. 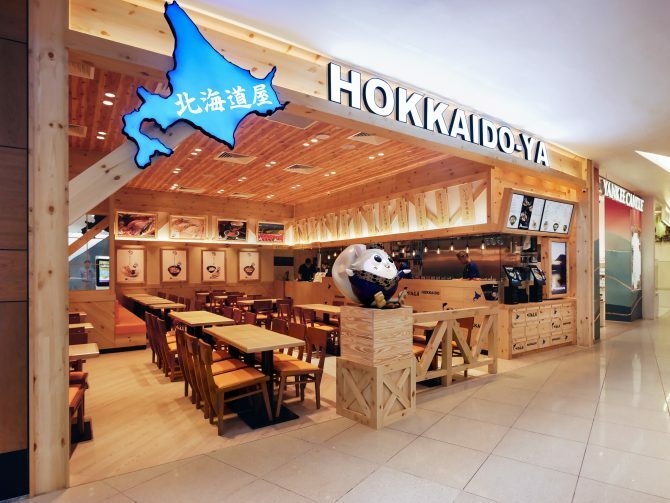 Like a cabin in the woods, Hokkaido-Ya serves as a safe house for the lost (and hungry) souls, drifting aimlessly in the recesses of VivoCity. The space is entirely decked out in pine wood, from the floor panels and walls to fixtures and the open-concept kitchen. Greeting diners at the door is the restaurant’s mascot Ezo, a life-sized statue of a grinning flying squirrel, and next to it is a row of self-service kiosks that are all powered by Artificially Intelligence (AI) tech. These unassuming high-tech machineries offer an ordering process so fast and seamless, further enhanced by features such as facial recognition technology and the capability of analysing one’s dining patterns and preferences for meal recommendations. But gadgets and gizmos aside, is Hokkaido-ya’s food any good? For wallet-friendly prices, we say it’s pretty decent! The rice bowls, or donmono, of Truffle Salmon Don ($10.90) and Aburi Mentai Bara Chirsashi Don ($14.90) do a fantastic job of giving one’s sashimi fix. 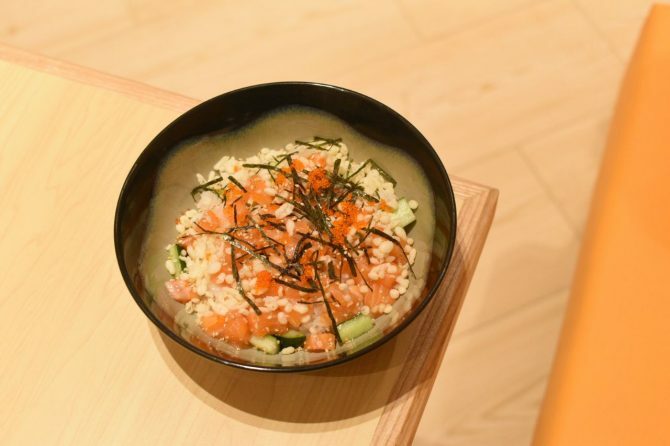 Looking past the gimmicky truffle rice (Hokkaido-Ya uses Niigata rice), the salmon cubes found in the Truffle Salmon Don are undoubtedly fresh and touts a firm texture for morish bites. The Chirsashi Don too offers the same seafood freshness with the added difference of crispy tanuki bits and mentaiko sauce, blowtorched for a delightful charred finishing. If you’re on a diet (why, though? ), there’s always the Bara Chirashi Salad ($14.90) that still lets you enjoy the oceanic treasures without carbo-loading. A specialty that is truly Hokkaido is Hokkaido-Ya’s Hokkaido White Curry Rice. 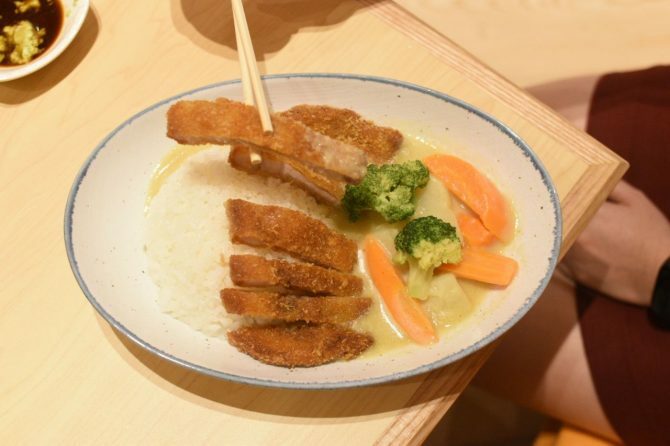 Available in Tori Karaage chicken ($10.90); Shirobuta Pork Katsu ($12.90); or Fried Ebi prawn ($11.90), Hokkaido White Curry Rice presents Niigata rice drowned in the iconic white curry gravy, before adorned with the fried delights of your choosing. Absent of cumin, white curry is very faint in the curry-taste and is almost devoid of the fiery kick. Instead, the curry is more of a thickened pasta cream-based sauce that is very creamy and milky, thanks to the use of Hokkaido milk. We tried the Shirobuta Pork Katsu pieces that, while may be a tad too oily, are fried very well. There also are ramen variants such as the Hokkaido-Ya with its Hokkaido Butter Corn Ramen ($12.90) and Hokkaido Beef Ramen ($15.90). 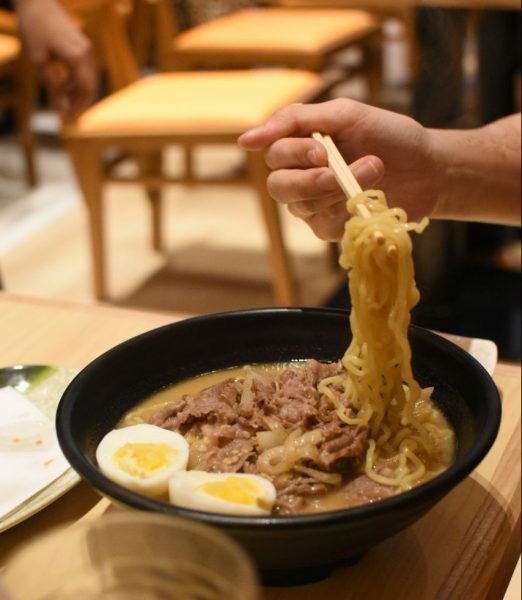 Available in paitan, miso or spicy miso broths, the latter proves to be the better out of the two with buttery Hokkaido beef strips soaking in the earthiness of the broth. 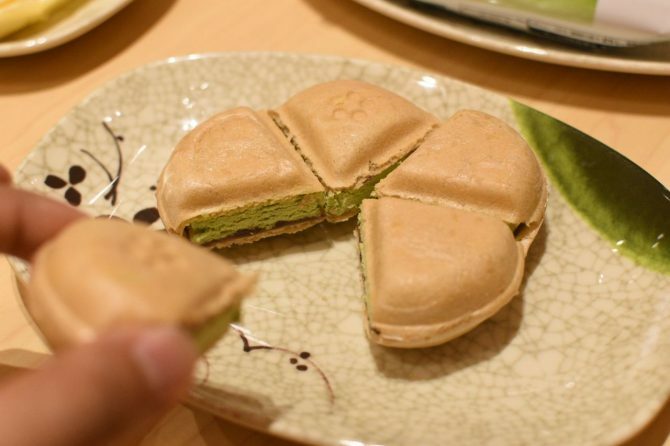 Desserts are fuss-free at the Japanese joint with packet treats such as wafer-encased Hokkaido Milk Monaka ($3,9) and Yawamochi Matcha Monaka ($3.50) of chewy mochi, sweet red bean and creamy green tea ice-cream, both of which you can grab-and-go.